The federal and state governments have demonstrated their disdain towards the original peoples of Mexico from one presidential term to the next. In this phase of neoliberal capitalism their policy of dispossession for implementing projects that carry with them the disappearance of forms of social, political and cultural organization of communities and peoples, resistances that are the breath of human diversity. One example of that are the peoples organized in the National Indigenous Congress. Since the conception of neoliberalism poverty is greater and a juicy business for governments and national and international investors. Poverty as State policy represents the pretext for exploitation and looting of the peoples. By means of the North American Free trade Agreement (NAFTA), the Trans Pacific Partnership (TPP), the Mesoamerica Project (formerly the Plan Puebla-Panamá) and also the military and territorial control strategy through the Security Agenda Plan contemplated in the North American Security and Prosperity Alliance (NASPA), the governments of the Alliance (United States, Canada and Mexico) close the pincers. In recent months, the unresolved Internal Armed Conflict in Chiapas has been characterized by continuous aggression towards the Bases of Support of the Zapatista National Liberation Army (BAEZLN, their initials in Spanish) with the actions of some regional social organizations at the service of the State that, since various years ago, are disputing recuperated lands. Several of these social organizations have impelled their leaders to become public officials and servants, in many cases betraying the principles from which they emerged, subjecting their plans for struggle to the government budgets and interests. In Chiapas, the integral war of wear and tear persists towards the peoples that struggle and resist, using media tactics that include the use of concepts of human rights, inter-cultural activities, collective rights of indigenous peoples and emptying them of content. There is continuity in the state government’s posture in a public discourse about the recognition and respect for the autonomous communities, the Good Government Juntas and the Zapatista National Liberation Army (EZLN), as a media action, in opposition to the absence of direct actions to change the situation of constant risk in which the Zapatista communities live, especially those displaced and threatened like San Marcos Aviles and Comandante Abel. 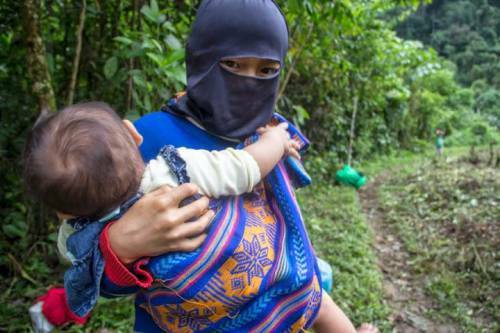 The Fray Bartolomé de Las Casas Human Rights Center has made constant interventions before the gravity of attacks on BAEZLN and the response has been governmental parsimony and its inability to act. This attitude of indifference maintains and provokes conflicts that are called inter-community as a way of hiding the counterinsurgency. The objective is to generate fatigue among the population that resists, that struggles, that is transforming their reality from their culture and their rights. The events that occurred in La Realidad on May 2 are evidence of the counterinsurgency in Chiapas: a strategy of provocation and repeated attack towards the EZLN and its Support Bases, with paramilitary actions like the murder of José Luis Solis López, Galeano, a teacher at the Zapatista Escuelita, with rage, by means of machetes, blows, firearms, including the coup de grace, and the destruction of the autonomous school and clinic. 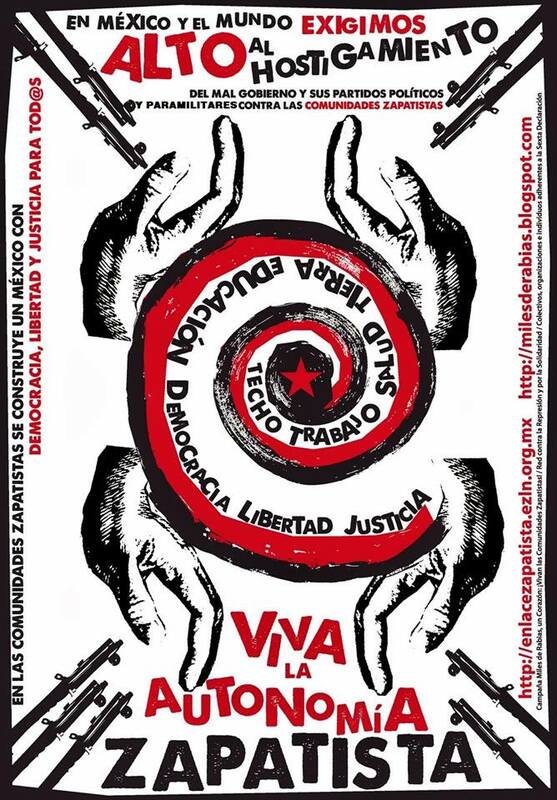 The latest acts documented by this Center, about the attacks on the BAEZLN from the communities of Egipto and El Rosario confirm the climate of constant aggression and provocation that operates behind each celebration of a space for dialogue and meeting, like the Sharing (Exchange) with the National Indigenous Congress on August 4-9 in La Realidad. These acts represent a new attack on the project of Zapatista autonomy, with the pretension of eroding the construction of systemic change that they are impelling from below, walking projects of life from the community and the collectivity, from the concept of good living. This Human Rights Center keeps documentation of the attacks on the Zapatistas and the denunciation that corresponds to the human rights violations. We will continue accompanying the peoples that demand the rights that belong to them and that, due to hidden interests, seek to take them away. We repeat our call for national and international solidarity to show their support for the threatened BAEZLN.